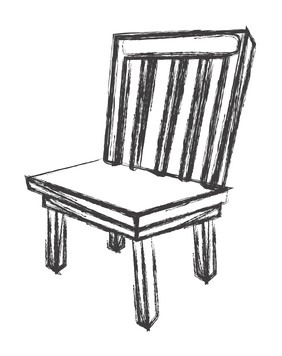 The phrase 'empty chair technique' may be familiar to many counsellors and psychotherapists, yet for members of the general public it may not mean a great deal. I recently attended some professional development training in the form of a workshop which presented this technique and some of the ways it can be used. In this blog post I will briefly explain what happens with this kind of therapeutic intervention, and what the benefits can be. As the name suggests, this activity involves a counselling setting with (usually) three chairs; one for the person seeking support, one for the therapist and one which appears vacant. This type of exercise is only attempted once the client and counsellor have built up a trusting relationship, and so the counsellor will have some idea of the issues the client has brought to the therapy room. Asking the client if they would like to engage in the exercise, there will be a discussion as to who or 'what' will be chosen to 'sit' in the empty chair. In other words, the client will invite into the room a person / subject they are having difficulty with, in the safety of the therapeutic space and without, of course, the actual person or thing being physically present. The therapist will facilitate the client, who normally sits with their eyes closed, in speaking with the imaginary occupant of the third chair, encouraging them to notice how they feel at that moment and what they think about the counselling room 'guest'. One example of the use of this technique may be if a client is struggling with feelings of incompleteness following a relationship breakdown or separation. They can encounter the other person in the relationship in the context of the therapy session, and have the opportunity to ask that person questions or get things off their chest. After this has been begun, the client is invited to leave their current chair and take a seat on the 'empty' chair, in effect becoming the person they have just been addressing. They are then given the opportunity to respond to what has just been asked of them - in character, as it were. The counsellor will help the client to notice what it feels like to be in the other person's shoes, which can develop empathy and an appreciation of how the other person may feel about the situation. And so the exercise continues. Swapping seats once more, the client (now as themselves), will have the chance to further respond to the other's comments, going back and forth as desired until it is felt right to stop and reflect on the interaction and what has been discovered. This change in perspective can help broaden the client’s understanding of a certain issue, and can help them to move forward where they may perhaps be stuck. The power of this technique is not to be underestimated. The 'other person' can be a relative who has passed away, an aspect of the client's character (e.g. their sadness, or guilt), or something which the client is wrestling to regain power from, such as the food they are overeating or the alcohol they are misusing. Having the chance to meet the 'other' can be an opening to increased awareness and insight into just what is going on with how the client relates or has related to that third party. Goodbyes can be said, resolutions made and weights lifted at an emotional level - the closing of the eyes only serves to deepen the connection between the client and who or what they have chosen to sit in that empty chair. The focus is no longer the physical counselling room, but the dynamics of that relationship, be it between two people, two conflicting aspects of the same person or a person and an object. If you were to engage in empty chair therapy, who or what would you choose to sit on that vacant seat? Have you thought about what you might say to them - and what they might say back to you?